Was CIA-backed Mullah Behind Turkey Coup Attempt? Was U.S.-based and CIA-backed Mullah Fethullah Gülen (shown) behind the July coup attempt, as President Recep Erdogan, Turkey’s authoritarian strongman, claims? Since the failed military coup on July 15, President Erdogan has been carrying out a massive purge of the military, police, and civilian government. Reportedly, he has suspended nearly 70,000 suspected opponents from their jobs and arrested 10,000 or more. Erdogan’s harsh crackdown on all opposition, including increased censorship, has resulted in severe condemnation from Western politicians and media critics. However, Russia, which has been one of Turkey’s main enemies, has played the coup attempt to its favor, helping smooth relations between Moscow and Ankara. Russia was one among the first countries to officially condemn the coup attempt, a move the besieged Erdogan regime clearly appreciated. “We thank the Russian authorities, particularly President Putin,” Turkish Foreign Minister Mevlut Cavusoglu told Haberturk TV. “We have received unconditional support from Russia, unlike other countries,” he said, taking an obvious backhanded slap at the United States and the European Union. Erdogan and his government spokesmen and Turkish media supporters not only fault the United States and EU for criticizing his response to the coup effort, but also charge that a U.S./NATO-supported Turkish network guided by a CIA-backed radical cleric, Mullah Fethullah Gülen, was the force behind the failed coup. Unfortunately, these charges from the Erdogan camp are not merely America-bashing propaganda; there are plenty of facts and puzzle pieces that give substance to the accusations. Put these together with the recent history of State Department globalists in the Bush and Obama administrations sponsoring “Arab Spring” regime changes in Egypt, Libya, Iraq, Syria, and elsewhere — changes that have installed extremist Islamist regimes — and the Erdogan charges do not appear as wild as some regional “experts” insist. 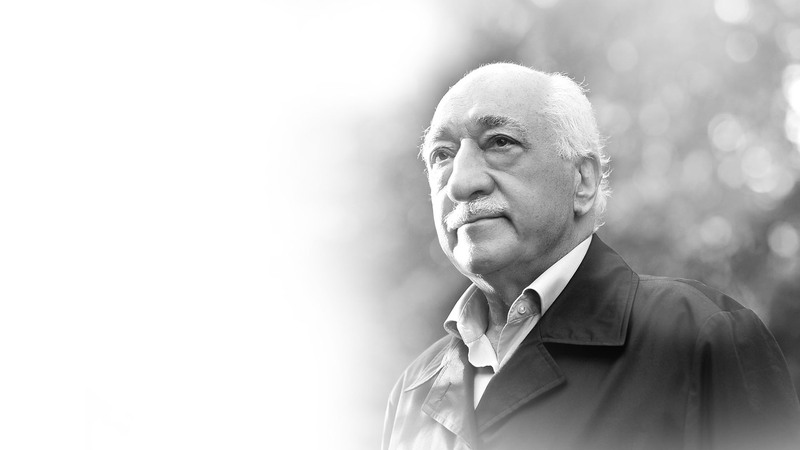 Some very serious questions begged to be asked … and answered, such as: Who is Mullah Fethullah Gülen, and why has this Turkish national been given apparent immunity? Who has assisted Mullah Gülen in building a vast, multi-billion dollar “educational” empire of Islamic Charter Schools across the United States and spanning the globe — and why? Was a “Gülen Network” backed by the CIA and the Obama-Clinton-Kerry State Department responsible for the recent coup effort? One of the most qualified independent experts on the Byzantine convolutions of Turkey’s political jumble is Turkish-American Sibel Dinez Edmonds, the former FBI translator and famous whistleblower who exposed massive security breaches and intelligence coverups. On her BoilingFrogsPost website, Mrs. Edmonds has been asking these important questions and providing disturbing answers. “In less than a decade Gulen’s Islamic network in the US has established over 100 publicly funded charter schools in 25 states,” Edmonds reported. “What makes this eyebrow raising phenomenon a very disturbing case is the fact that despite official documents and publicly available data Fethullah Gulen is going out of his way to deny his connections to these schools. The question is why?” Why indeed? And the follow-up question, nearly six years later, is why is this allowed to continue? Why are influential globalists — the usual suspects from the Council on Foreign Relations (CFR) — always ready and willing to protect, aid, and abet his efforts, whether in Turkey, here in this country, or around the globe? The schools educate as many as 35,000 students — taken together they’d make up the largest charter school network in the USA — and have imported thousands of Turkish educators over the past decade. Edmonds’ BoilingFrogsPost also notes that among Gülen’s most influential defenders are the (CFR-laden) New York Times and former State Department official and Carnegie Endowment for International Peace president Morton Abramowitz (CFR). Are any members of Congress curious enough or courageous enough to begin asking the obvious questions and demanding answers from President Obama? So far, apparently not. On Saturday morning New Zealand time it was reported that a military coup was underway in Turkey. A minority faction within the Turkish military had conspired to overthrow the government of the much maligned President Recep Tayyip Erdogan. By Sunday morning it was reported that the coup had failed. News of the coup did not come entirely as a surprise given the long history of coups in Turkey as well as the widespread public dissatisfaction with the Erdogan regime which has conducted a full frontal assault on Turkish civil liberties including press freedom. Erdogan has blamed the Gulen movement, a group loyal to US based cleric Fethullah Gulen, as being responsible for the coup. Erdogan has called on US President Obama to arrest and extradite Gulen to Turkey. Who is Fethullah Gulen and where does he fit into the history of Turkey’s political landscape and how does Turkey fit into the geopolitical terrain? What we find is a different sort of coup. One so insidious that it slips under the radar of the average citizen, infiltrating by stealth and corrupting a society’s institutions. For a better understanding one must look into the perhaps most underreported story of the Cold War; CIA covert operations and the international arms and drugs trade. Graham Fuller, an ex-vice chairman of the CIA’s National Intelligence Council, told The Associated Press he was accused in the Turkish press of being the “CIA handler” of a U.S.-based Muslim cleric. Turkey blames Fethullah Gulen for the 2016 coup attempt. The cleric denies the allegations. (born November 28, 1937) is an American author and political analyst, specializing in Islamic extremism. Formerly vice-chair of the National Intelligence Council, he also served as Station Chief in Kabul for the CIA. A “think piece” that Fuller wrote for the CIA was identified as instrumental in leading to the Iran–Contra affair. James Corbett: In the days of hysteria immediately following the Boston bombing, an unlikely media darling emerged. Ruslan Tsarni, the alleged bombers’ uncle, known to the press as “Uncle Ruslan,” gained notoriety for the ferocity with which he denounced his own nephews and their alleged Islamic radicalism. It isn’t hard to see why the press focused so closely on “Uncle Ruslan.” He said precisely what the so-called “authorities” wanted to hear about the suspects in precisely the way they wanted to hear it. Compare this to the coverage of the boys’ mother in the mainstream media. After revealing the FBI’s connection to the Tsarnaev brothers—causing the Bureau to reluctantly confirm that they had investigated Tamerlan in the past—she has been alternatively smeared and dismissed by those same media outlets which have refused to delve into the FBI connection. But even more interesting than the sudden popularity of “Uncle Ruslan” is his background and ties to other organizations. Fuller himself has an interesting background that includes his two decade stint with the Central Intelligence Agency. During that time he served as National Intelligence Officer for Near East and South Asia. One of his most notorious acts during that time was penning a memo that, according to the New York Times, later became the basis for the Iran-Contra scandal. Fuller’s ties also extend to the network of Imam Fethullah Gulen, an Islamic preacher who was run out of Turkey for allegations of conspiracy to overthrow the secular government, Gulen ended up in Pennsylvania where he now oversees a vast organization known as the Gulen Movement which has over $20 billion at its disposal for setting up Islamic schools in over 100 countries. A narrative has begun to emerge from the background noise of the Boston bombing story that paints a very different picture from what we have been told. We have the uncle of the bombing suspects emerging as a media darling for his denunciation of the brothers, who just so happens to have worked with USAID and was living and working at the home of a top CIA official who has actually advocated “guiding the evolution of Islam” to destabilize Russia and China in Central Asia. Now we have several of the pieces of the puzzle that Edmonds’ predicted in the past few weeks falling into place: that the bombers were likely being run by the CIA; that the event would bring focus on radical terrorism who have hitherto been painted as “freedom fighting allies” of the US; and that the case may be used as leverage to make new inroads on the Syria standoff between Washington and Moscow. 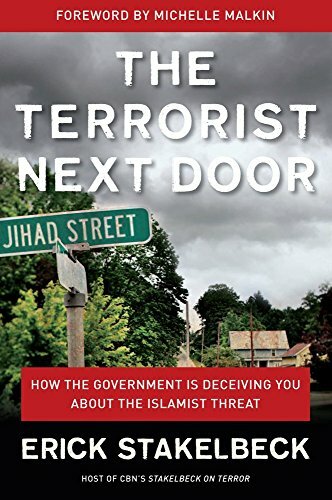 In The Terrorist Next Door, investigative reporter Erick Stakelbeck exposes the staggering truth about our national security: the Obama administration is concealing and whitewashing the enormous terrorist threat growing right here within America’s borders. If you believe terrorism is only a problem for other countries, Stakelbeck’s on-the-ground reporting will open your eyes. He has been inside America’s radical mosques, visited U.S.-based Islamic enclaves, and learned about our enemies by going straight to the source—interviewing al-Qaeda-linked terrorists themselves. The Terrorist Next Door sounds the alarm on a growing threat to every American—one that the U.S. government refuses to face honestly or even to name. As we struggle against a relentless and adaptable Islamist enemy that is committed to destroying our nation, we can’t say we weren’t warned. This article ran immediately following the failed coup attempt in Turkey. SAYLORSBURG, Pa. — It was a weekday night in the Poconos, quiet but for the sound of cicadas in the wooded hills of rural Pennsylvania. In the secluded compound where he preaches nonviolence, tolerance and the value of education, Fethullah Gulen sat in a well-lighted room, handing out candy to children. Half a world away in his native Turkey, the 77-year-old Muslim cleric with a global following had just been accused of orchestrating the bloody July 15 coup attempt that left more than 200 people dead and a major U.S. ally in chaos. Gulen’s many adherents and admirers have dismissed the allegations, which he has denied, as the ravings of a paranoid Turkish government and an attempt by its president, Recep Tayyip Erdogan, to rid himself once and for all of a former ally whose popularity challenges his increasingly autocratic rule. Since the coup attempt, the Turkish government has arrested more than 10,000 people and dismissed nearly 70,000 from their jobs. It has set up a hotline for people to call if they suspect someone of being a Gulenist. Turkish officials have accused the United States of harboring Gulen and suggested U.S. involvement in the aborted coup. The government in Ankara has asked for Gulen’s extradition as both a legal matter and a profession of loyalty and respect. A Justice Department team is sifting through what U.S. officials say are some 85 boxes of evidence that Turkey says describes the infiltration of Gulenists into every part of Turkish society, including the judiciary, the police and the military faction that launched the coup attempt, and proves Gulen’s direct role as mastermind of the plot. Turkey sees the matter of Gulen’s extradition as one of trusting a NATO member and a leading partner in the fight against the Islamic State. “For God’s sake, we’re talking about a country that has been a loyal ally to the United States for 60 years,” Serdar Kilic, Turkey’s ambassador to the United States, said in an interview. “They have to give unreserved support to Turkey. “Imagine if a group of generals had decided that Obama was not taking the right course of action in Syria or in Europe or wherever,” he said, and had commandeered aircraft to bomb Congress, ordered civilians to be shot at, taken the military chief of staff hostage, and come within 15 minutes of trying to kidnap or assassinate the president — all of which happened during the coup attempt. What, Kilic asked, would the immediate U.S. reaction be? At the very least, he said, Turkey deserved the “benefit of the doubt” from the U.S. government. The United States, which spent years trying to send Gulen home after his 1999 arrival here as a tourist before a court granted him a green card, says the process is a legal one in which politics — and alliances — have no role. “President Erdogan and Turkey have a strong belief that Mr. Gulen, who is in Pennsylvania, who is a legal resident of the United States, is somehow behind some of these efforts,” President Obama said a week after the coup attempt. Gulen denies involvement. “If one-tenth of this accusation is correct . . . let them take me away, let them hang me,” he told CNN’s Fareed Zakaria on Sunday. The son of a small-town imam in Turkey, Gulen is revered by millions around the world, even if few Americans have heard of him. In 2008, readers of Foreign Policy magazine and Prospect, a British publication, voted him the world’s top public intellectual. His U.S. network — to which his organization says he is only loosely tied through his teachings — includes some 160 schools, the vast majority of them government-funded charters. A nationwide federation of Gulen-linked Turkish American civic and business organizations competes effectively with similarly named groups tied to the Turkish government. What is globally known as the Hizmet movement — “service” in Turkish — was already taking root here by the time Gulen arrived in 1999 and converted a former summer camp into what is now known as the Golden Generation Worship & Retreat Center. Here, the movement has replicated elements of a pattern it established in Turkey and in countries across Central Asia and beyond. First was the Concept Schools, a chain of charters that opened in Cleveland in 1999, followed by Harmony Public Charter Schools, launched in Texas in 2000. Today, 160 Gulen-inspired schools operate in at least 20 states. performing. Harmony, in Texas, won a $30 million grant from the Obama administration’s Race to the Top competition. But some schools have also had problems. In Oklahoma, state auditors this year found evidence of financial fraud and contract bidding violations in the network of Dove charter schools. In Georgia, state authorities in 2014 shut down two Gulen-inspired charter schools after an audit found that they had violated rules for awarding contracts and that they had defaulted on bonds. In 2013, the Loudoun County School Board in Virginia denied a charter application, citing curriculum, management and budget problems, and a lack of community support. But all have the same distinguishing features: They were opened by Turks and focus on math, science and technology, as per Gulen’s emphasis in education. Many use identical mission terminology in their handbooks and offer opportunities to learn the Turkish language or culture. Other elements of the Hizmet network have carefully cultivated political influence, hosting conferences and luncheons across the country. Some are sponsored by the Rumi Forum, which opened in Washington in 1999 to “foster interfaith and intercultural dialogue.” Others with similar missions, which describe themselves as Gulen-inspired, include the Pacifica Institute, which opened in the San Fernando Valley in California in 2003, and the Niagara Foundation, established in 2004 in Chicago. Several are overseen by the Alliance for Shared Values, Hizmet’s New York-based umbrella organization, which also facilitates access to Gulen and his retreat. Gulen serves as “honorary president” of some of the groups and is cited as the “inspiration” to them, according to their websites. Their members attend state and White House dinners, and host government officials for conferences and ceremonies. The annual dinner of the Turkic American Alliance, an umbrella for regional Turkish groups also linked to the Alliance for Shared Values, draws high-level Americans — including former president Bill Clinton, who addressed the 2008 event by video. In recent years, individuals and organizations linked to Gulen’s movement have donated tens of thousands of dollars to political campaigns, including those of Democratic presidential nominee Hillary Clinton, former House speaker John A. Boehner (R-Ohio), former Texas governor and presidential candidate Rick Perry (R) and Senate Majority Leader Mitch McConnell (R-Ky.), among others, according to federal filings. Since 2007, more than a dozen organizations with ties to Gulen’s movement have also sponsored 289 congressional trips, nearly half of all congressional visits to Turkey during that time period, according to an examination of those filings by The Washington Post. The lack of transparency in terms of how the various Gulenist organizations are run — with many contributors unnamed in federal filings, and the hierarchy and sources of funds unclear — has given rise to suspicion. The FBI has launched a number of past and current investigations into possible financial irregularities at a number of Gulen-tied enterprises, ranging from individual schools to business associations, according to U.S. officials who spoke on the condition of anonymity to discuss the cases. No charges have ever been filed. A USA Today investigation last year found that some Gulenist groups that identified as nonprofits for the purpose of funding congressional trips never actually registered as nonprofit organizations with the IRS, or misrepresented their spending on tax forms. Emre Celik, the president of the Rumi Forum, where Gulen is the honorary president, said the movement is far too loose to exercise oversight over the various entities that adhere to Gulen’s ideology. “All institutions have a board, and the boards are legally responsible for what they do and don’t do,” Celik said when asked about the irregularities. While Gulen admirers praise his calls for ecumenicism, early speeches quoted at length in the Israeli media contained flashes of anti-Semitism and criticism of Israel. In a 2013 interview with the Atlantic, Gulen said that some of his words may have been taken out of context, but also said that he had had an “evolution” in his thinking about other religions. Like Barrack Obama’s Nobel Peace Prize award, Gulen was awarded the “Award for Peace” while being accused of terrorist acts throughout the world. A host of non-Muslim academics, religious leaders and officials have embraced Gulen as a voice of peace and tolerance in the aftermath of the Sept. 11, 2001, attacks. Board and advisory board members of Gulenist organizations include evangelical, Catholic, Baptist and Jewish religious leaders. Fuller, who has written extensively on the Middle East, wrote a letter in support of Gulen’s green card application. Tittensor and other experts, including John Esposito, a professor of Islamic studies at Georgetown University, said they find it unlikely that Gulen could have masterminded a coup attempt. “Gulen for many years has been living in exile, in relative seclusion and in poor health,” said Esposito, who sits on the advisory board of the Rumi Forum. Esposito said he wouldn’t rule out the possibility that “disaffected Turkish Gulenists” could have participated in the coup attempt. But if Gulen was the mastermind, he said, then the Turkish government should provide proof to support its extradition request. Turkey’s coup attempt has brought to U.S. shores the political intrigue that has dominated that country for two decades, as Gulen and Erdogan first fought as political allies against the entrenched power of Turkey’s military and its enforced secularism, and ultimately turned against each other. While they took different paths to prominence and power, with Erdogan turning to overt politics and Gulen establishing his educational and cultural network from an overseas base, as recently as 2010, Erdogan publicly thanked “our friends across the ocean” for his victory in constitutional battles with secular forces. And Hizmet leaders acknowledge that many within the movement long believed that Erdogan was the man to carry Turkey toward a vibrant and prosperous democracy. In 2011, Erdogan began his third term as prime minister of the Islam-inspired Justice and Development Party, known as AKP, that Gulenist support had helped prosper. At that point, however, their alliance began to unravel as the two men, having successfully sidelined their joint enemies, found themselves in competition. In 2012, there were rumors that Gulenists were no longer getting government contracts, Cagaptay said. Erdogan closed one of Gulen’s biggest Turkish enterprises, the “cramming” schools that prepared Turkish students for the nationwide test to determine whether they can pursue higher education. “The subterranean competition between them broke into open war at the end of 2013,” when judges aligned with the movement pursued corruption charges against Erdogan and other prominent members of his government, Cagaptay said. Despite the growing animosity and government charges, it was not until last month, following the coup attempt, that Turkey first formally requested Gulen’s extradition from the United States. Since the split with Erdogan, Gulen’s presence in this country has been a source of Turkish suspicion. For nearly a decade after he appeared here on a tourist visa, U.S. immigration officials sporadically tried to push him out. Gulen’s 1999 arrival followed a crackdown against Islamist leaders by Turkey’s secular government at the time. With nascent elements of his organization already established here, he was granted an immigrant visa in 2001 as a “religious worker.” Eighteen months later, he applied for permanent residence. In November 2007, that application was denied. Gulen appealed and was again denied, but he had already filed a federal civil suit charging he had been mistreated. Gulen submitted letters of support from former Turkish and U.S. officials, along with boxes of documents and numerous books and testimonials that in some cases appear to contradict the organization’s later insistence that he has no direct involvement in its network of schools. In July 2008, Gulen won. Not only did he demonstrate his prominence and acclaim in the field of education, Judge Stewart Dalzell ruled, but his activities were “certainly a benefit to the United States in these times of tensions between adherents of different religions.” Dalzell ordered the government to issue him a green card and pay his legal expenses. U.S. diplomats in Turkey had also raised alarms. In May 2006, the U.S. consul general in Turkey, Deborah K. Jones, expressed concerns about the “increasing proportion” of Gulen supporters among Turkish applicants for U.S. visas. “They are almost uniformly evasive about their purpose of travel and their relationships to Gulen,” she wrote in a diplomatic cable addressed to the State Department and intelligence agencies. The six-page cable was among hundreds of thousands of leaked U.S. diplomatic communications made public by WikiLeaks in 2011. In a lengthy December 2009 cable, James Jeffrey, the ambassador to Turkey, described the “murky” nature of the group and its expansion, along with the politically motivated pressures it was under. He expressed concern that the United States, while promoting a non-secular Turkey, was seen as “sheltering” Gulen. Followers call Gulen “Hocafendi” — which translates roughly as “master teacher” in Turkish. They extol his mastery of the Turkish language, his eloquent interpretations of Islamic texts and his artful use of poetry. They emphasize his gentle nature. “He’s able to attract people like myself, who are interested in the integration of science and the arts and Islam . . . people who don’t like violence . . . people who are looking for a spiritually competent version of Islam,” said Alp Aslandogan, executive director of the Alliance for Shared Values, who guided a reporter during a visit to the Poconos. But most of Gulen’s millions of adherents never see him, apart from his video appearances. Frail and puffy-eyed, he rarely emerges from his own modest apartment, furnished with a bed, a desk and a treadmill, or the community center where it is housed. The salon outside his room features a long, backlit photo of the Bosporus and an Istanbul sunset. He reportedly keeps soil samples there, from all over Turkey. Robert O’Harrow Jr., Steven Rich, Julie Tate, Anu Narayanswamy and Alice Crites contributed to this report.